On Friday, October 5th Ross Nicoll a leading Dogecoin core developer discussed at length the decentralized, peer-to-peer cryptocurrency project in an exclusive interview with Blokt.com. 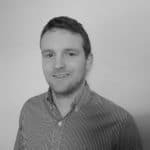 Ross Nicoll is one of Dogecoin’s leading core developers who has been involved with the project for more than four years. He has a background in research academics in computer science and is a software developer. He also keeps the Dogecoin community up to date via the Dogecoin Developers twitter account and his own blog. 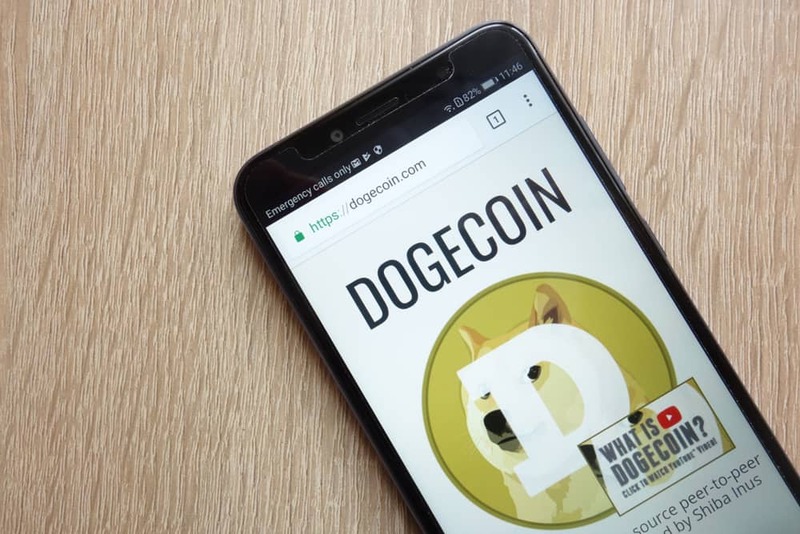 Though its unlikely to become a top 5 cryptocurrency in 2019, Dogecoin has a strong community following and is world famous for its Shiba Inu mascot and memes. Dogecoin currently stands as the 20th largest cryptocurrency with a market cap in excess of $640 million. The price of Dogecoin has also outperformed many other cryptocurrencies this year, currently up over 120% since the end of August. Wow. Can you tell us what Dogecoin is all about in a couple of sentences? Dogecoin is one of the earlier altcoins, launched as a joke in late 2013 by Billy Markus and Jackson Palmer. Since then it’s become one of the longest-running cryptocurrencies, built around a friendly and fun community. Dogecoin is famous for its Shiba Inu mascot/memes, how important is this fun element to the project? Certainly, it’s what attracted me to the project, so I’d say it’s fairly important! I found early Bitcoin was both very serious and very political, and I love that Dogecoin is much more willing to see the silly side of things. Dogecoin was started as a ‘joke,’ but what is the serious side of the project? Well, we are managing $650mil of other people’s money, we take that fairly seriously. I got involved as the first hard fork was being executed, to resolve issues with the initial parameters of Dogecoin. I’m aware some of the decisions we’ve made since have been unpopular, but we do very carefully analyze decisions we make around changes to the coin. We also put a lot of effort into being a fully decentralized cryptocurrency, with multiple independent teams working on different aspects, so, for example, the developers are independent of the Reddit moderators and the founders. We maintain a tenet that anyone should be able to work on Dogecoin without needing permission from any special group. Could you tell us about the Doge/Ethereum bridge that is being developed? Back in 2015, a bounty was put together to pay for delivery of a two-way bridge for Dogecoins onto the Ethereum blockchain, and back again. We’ve talked to a number of teams since then, and several have tried but hit insurmountable technical issues. The current team led by Oscar Guindzberg worked with Truebit for the first stage and recently demonstrated freezing then unfreezing Dogecoins on the native blockchain, corresponding to issuance and destruction of Dogetokens on the Ethereum blockchain. This is a huge step forward, and we’re excited to see the completed bridge. We’re currently waiting on a delivery timetable from Oscar and his team, and will, of course, announce more as soon as we know. There is speculation surrounding Dogecoin’s listing on Coinbase, possible usage by UPS and the Doge-Amazon petition. Could you provide any details on these? Coinbase recently announced a process for listing new tokens, and we’re working on a submission that ideally doesn’t involve writing “wow” in every field that doesn’t fit Dogecoin well. We’ll see how that goes 😀 We’re obviously enthusiastic about any new adoption and would love to talk to UPS and Amazon about how this might work, but so far no-one at either company has reached out to us. Dogecoin’s price has outperformed many other Cryptos recently, why do you think that is? I like to think of this as Dogecoin reclaiming its position amongst other cryptocurrencies, as well as reflecting the enthusiasm of the community. Naturally, excitement for the upcoming Doge/Ethereum bridge has also been a contributing factor! Does Dogecoin have any interesting partnerships lined up? Personally, I’m focusing on shipping the 1.14 client, and getting work underway on 1.16, although again as a decentralized currency the developers aren’t necessarily those working on partnerships. 1.14 is basically ready to ship apart from getting deterministic builds (which we do to ensure none of the build systems is compromised) to work. 1.16 is making slow but steady progress and we’ve learned a lot from the mistakes getting 1.14 started, around how to structure the updates to Dogecoin. Exact details of what will be in 1.16 will depend on testing, but I’m hoping we can ship SegWit in this release. I’m also evaluating what new functionality we’d need for a more advanced bridge that doesn’t require operator nodes, but that’s definitely in the research stage right now. What has been your biggest challenge so far working as a core developer for Dogecoin? I want to say time because it’s a constant challenge as we all have day jobs, but I think really the hardest part was deciding how to handle the mining issues that led to the second hard fork. It was not just a challenge of trying to analyze a number of poor options and choose from them, but also an awareness that we were going to upset a lot of people whatever we chose. Where do you see the Dogecoin project being in 5 years? I want to see Dogecoin adopted as a genuine currency for the Internet, as well as becoming a part of the Ethereum ecosystem. It’s disappointing to see payment processors banning legal occupations such as ASMR creators because of pressure from one group or another, and I think there’s an exciting opportunity for Dogecoin to be a currency everyone can use.